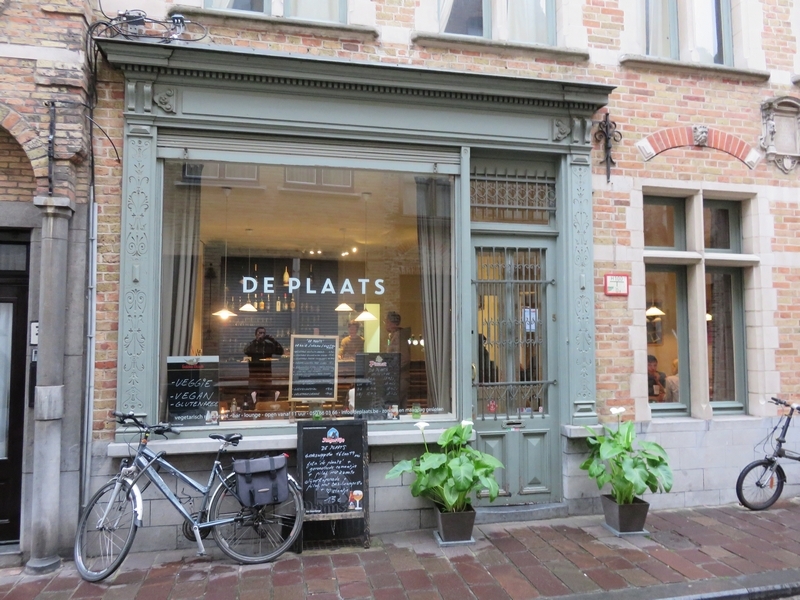 Restaurant review #132 – De Plaats is a vegetarian restaurant in the city center of Bruges, close to the central market square and the Belfry (where restaurant Lotus used to be). 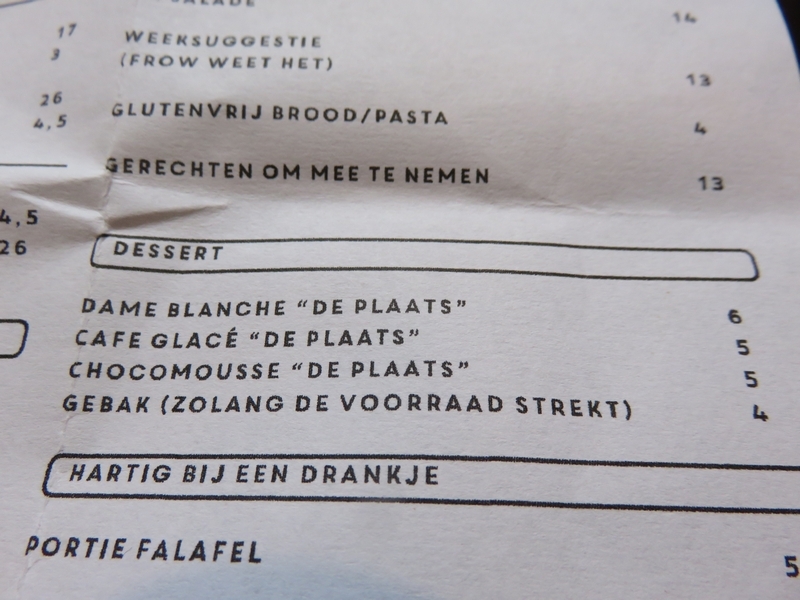 De Plaats literally translates as ‘The Place’. 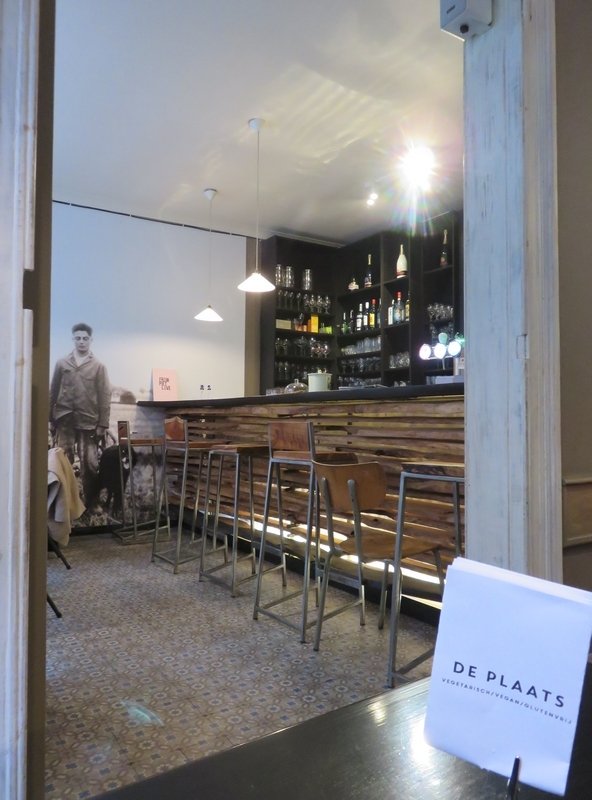 De Plaats opened in 2016, and we had been eager to go check it out for several months. This review is from two visits, respectively in April and May 2017. 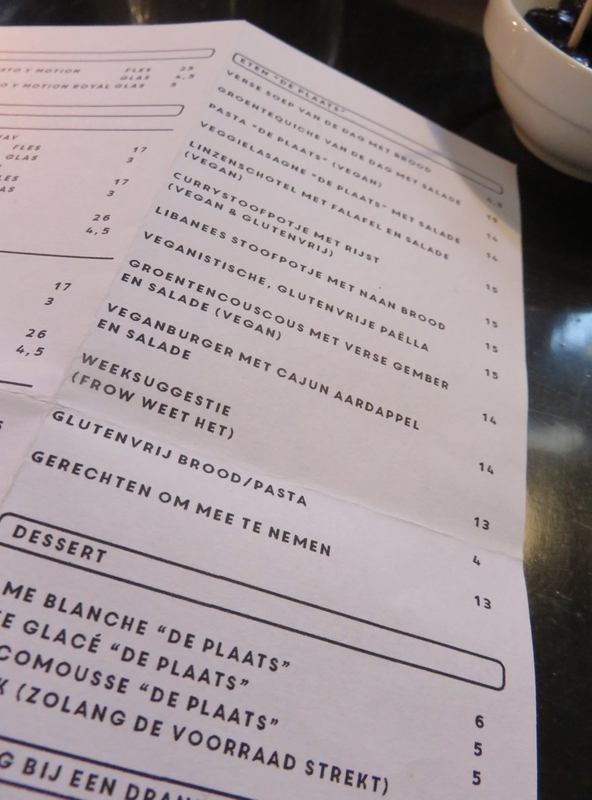 The menu lists 10 dishes, of which about half are vegan (clearly indicated). We ordered some drinks (wine was said to be vegan), which came swiftly. 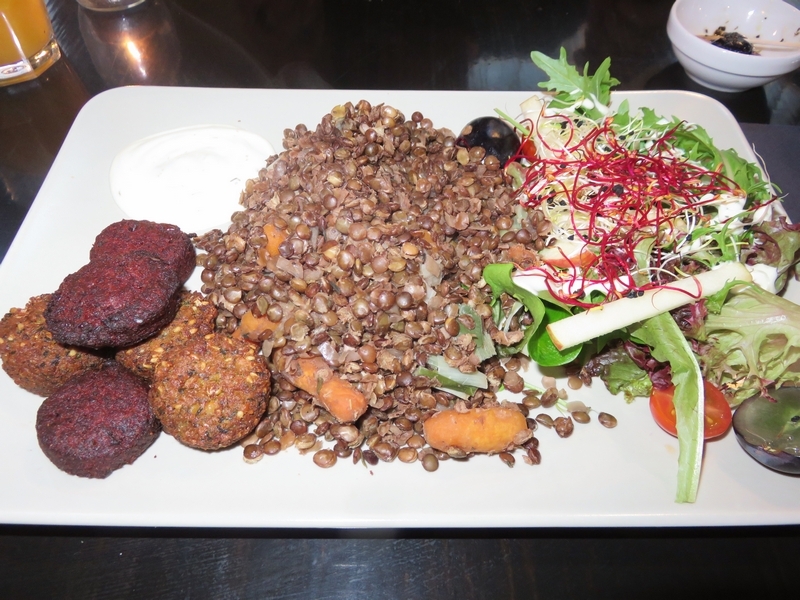 We had the lentil dish (15€) and the vegan burger with potatoes (14€). 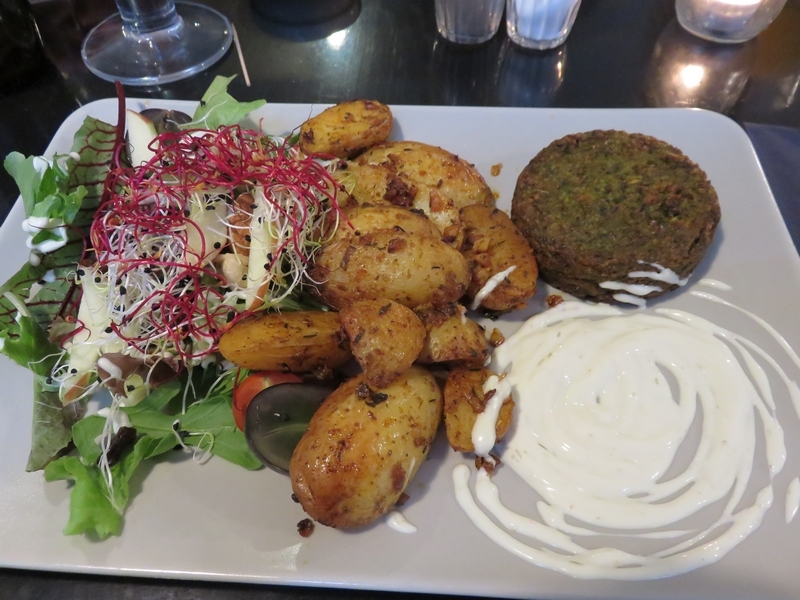 The food was good, but we were culinairy a bit underwhelmed by the dishes, all in all just being a pre-bought burger and falafels (from La Vie est Belle), with lentils and potatoes, and salad on the side. 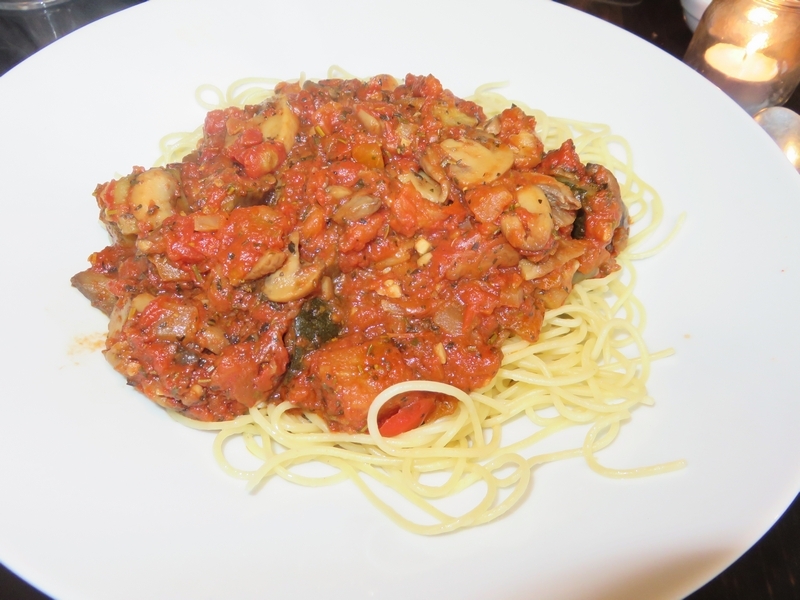 Something we would also eat as a weekday meal at home, when we don’t have the time nor motivation to cook up something more fancy and just flip a storebought burger or falafel in a baking pan. Not bad, but no wow factor. 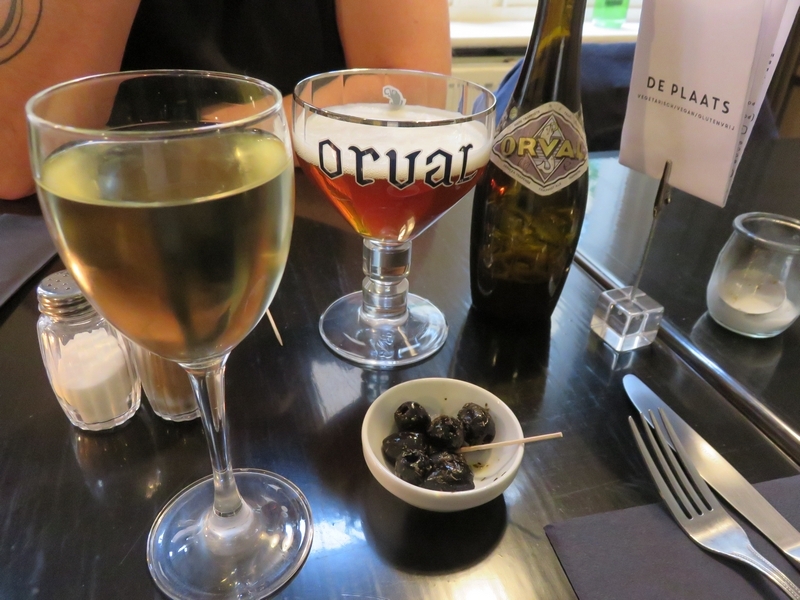 We went a second time to the Plaats not so long afterwards, to try some of the other dishes. 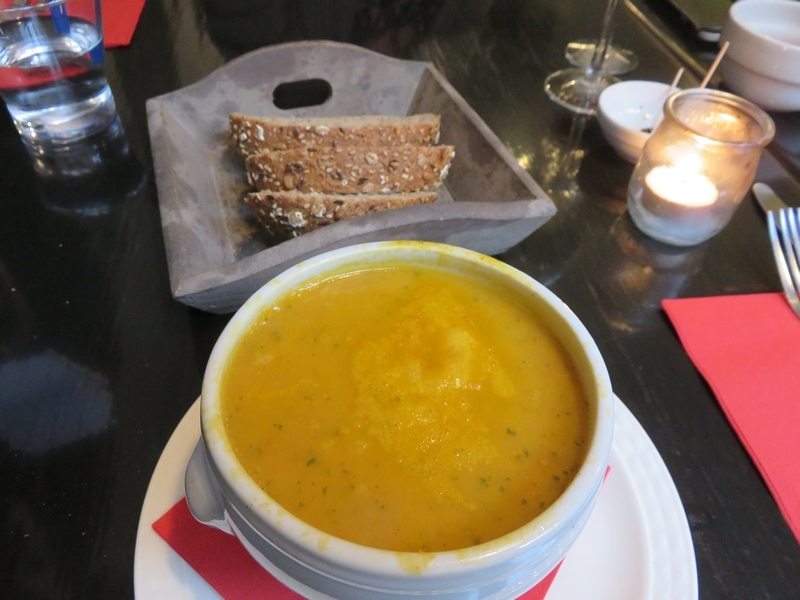 The menu had changed between our first and second visit, so we had new items to choose from! We ordered the soup of the day with bread (4,50€), the falafels (13€) and the pasta (14€). 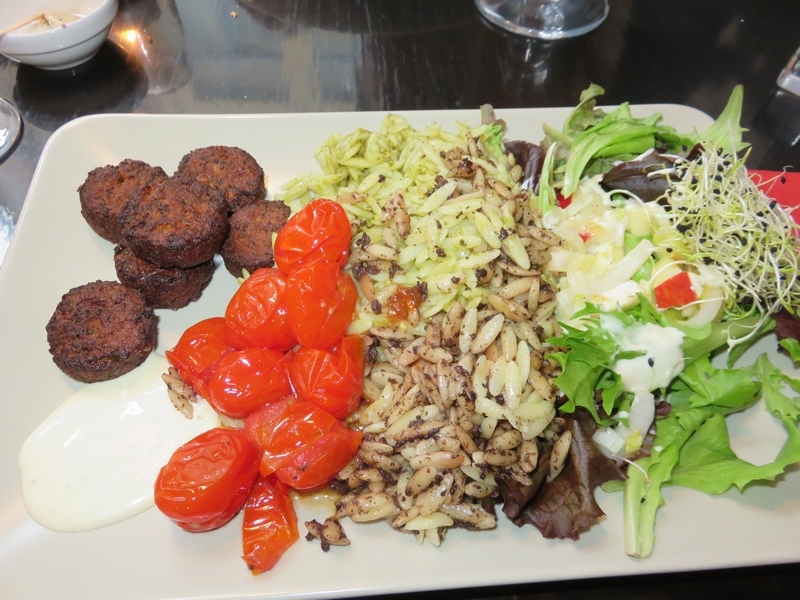 Unfortunately, next to the soup, there are no appetizers available at De Plaats (only options for a snack are a portion of falafel or non vegan cheeze croquettes, but we didn’t fancy any more falafels since we already ordered falafels as a main dish). 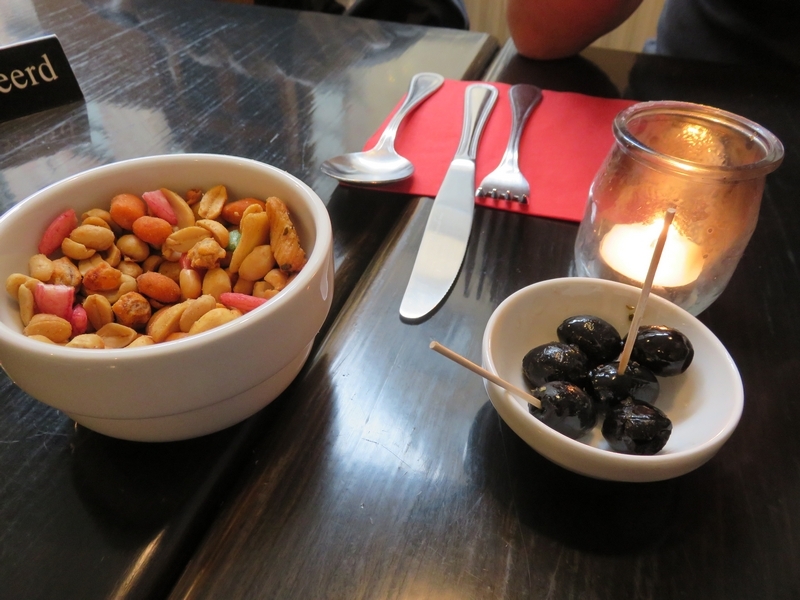 We did get some olives and nuts with our drinks. It took a while after the soup for our main dishes to be served, as there was only the lady of the house running the restaurant that evening (kitchen and service!). We asked for vegan dessert options, but there are none available (it was said that sometimes there are vegan cookies, but not on that day). 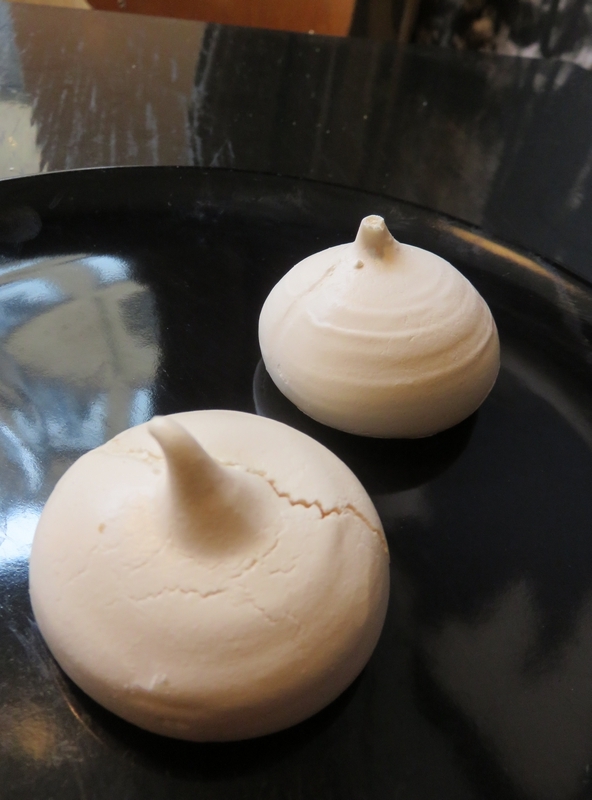 I did noticed some meringues on the counter and asked whether they were vegan by any chance? Yes they were, and I was offered a meringue to taste. It was nicely baked and crispy! Service was very friendly on both occassions and we were immediately welcomed by the lady of the house. 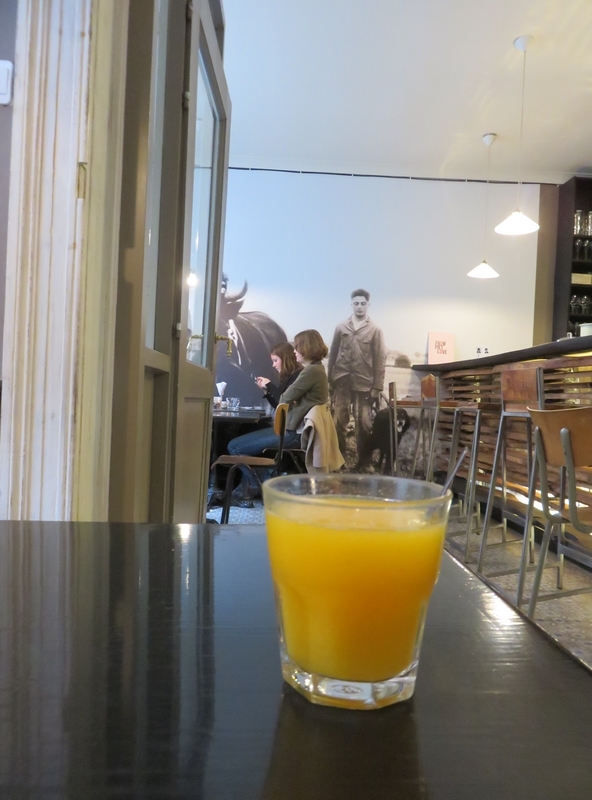 The place is nicely renovated, a combination of old and new, and there was a relaxed atmosphere. 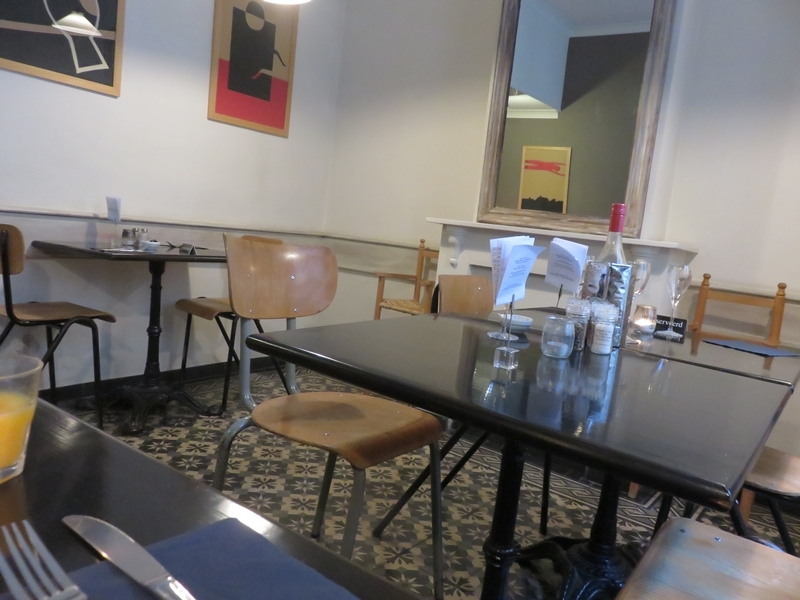 Loved the old wooden counter and the vintage floor tiles. The chairs are uncomfortable old schoollike wooden chairs and don’t invite for long dining though. Toilets are upstairs (steep stairs) and were clean. 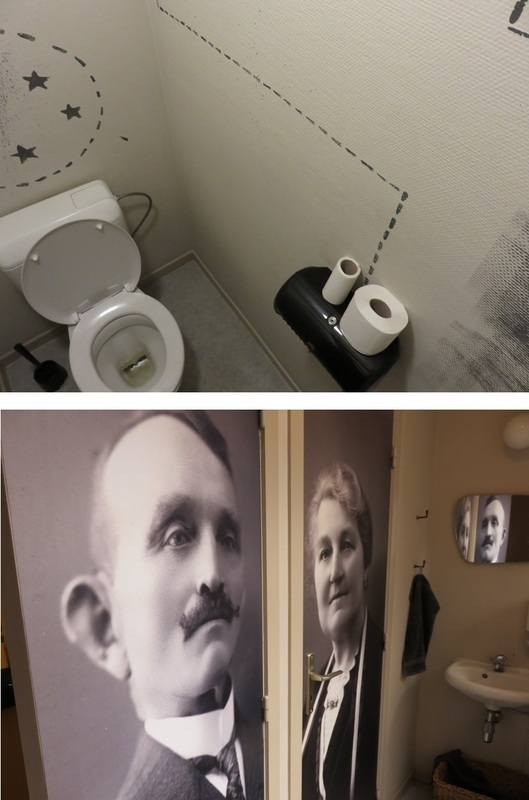 Nice wall to wall vintage photos on the toilet doors. There was a stuffed bird on the wall above one of the tables in the restaurant room (couldn’t get a pic as there were other people dining there) which we found unsettling (I had seen a pic of a stuffed deer head in the restaurant on the FB page of the Plaats, but we didn’t see it in the restaurant). 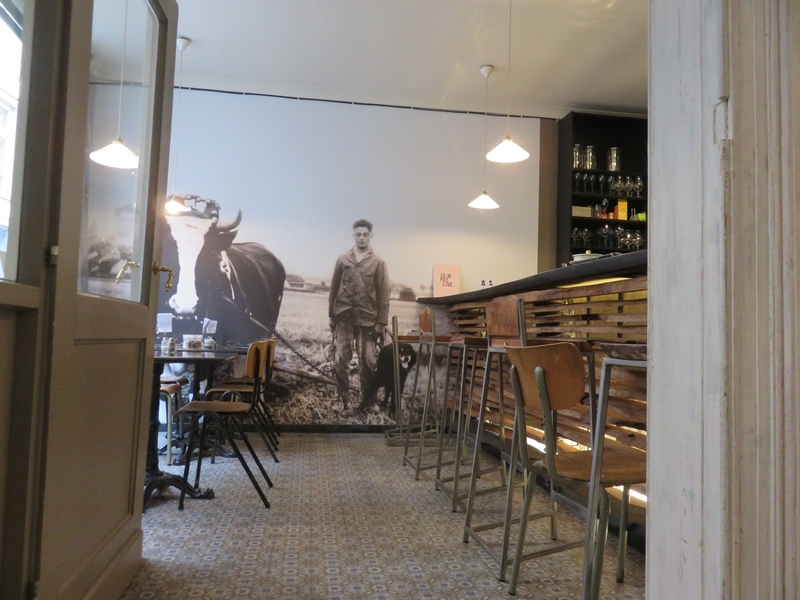 I still don’t know what to think of the wall to wall photo of the farmer with his harnassed ox and dog (it gives a vintage feeling to the restaurant, but I do pity the bull …). 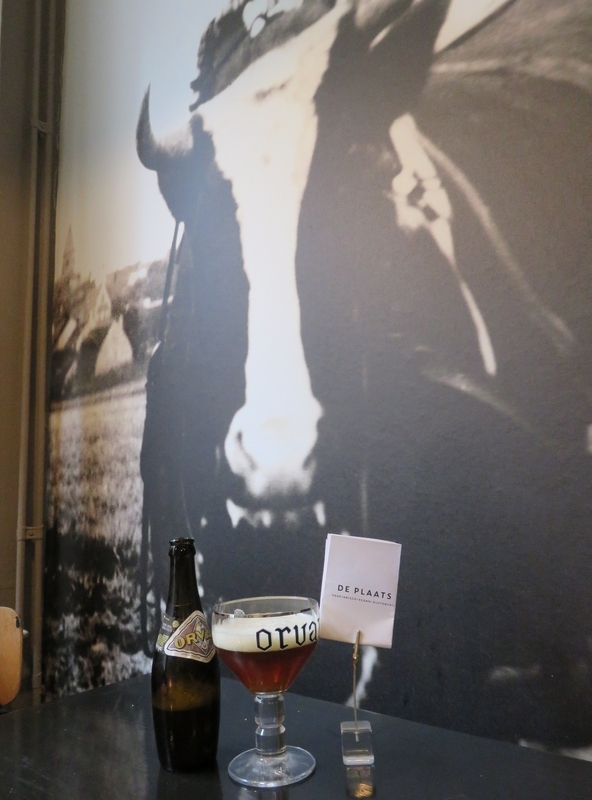 It’s nice to see a new place in Bruges with vegan options. 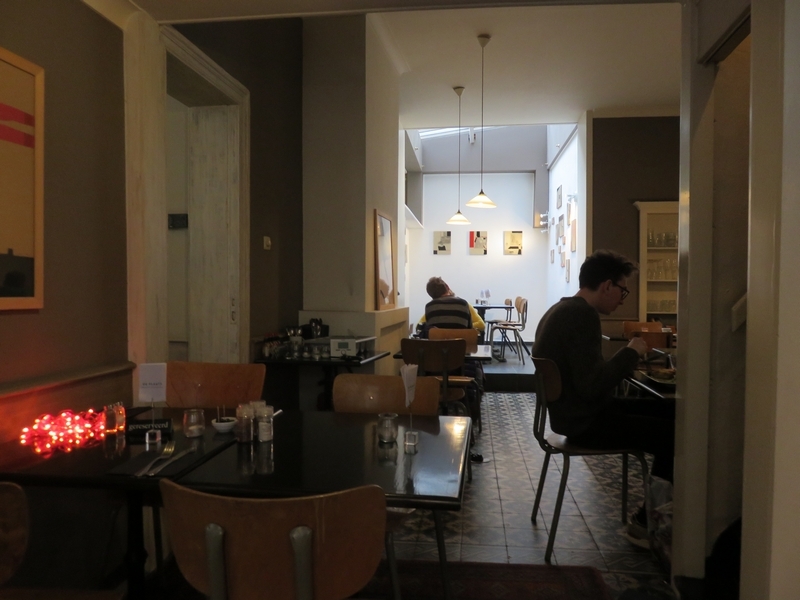 Our dinners at De Plaats were culinairy not as exciting as we had hoped. And a pity there are no real appetizers, nor any vegan desserts. 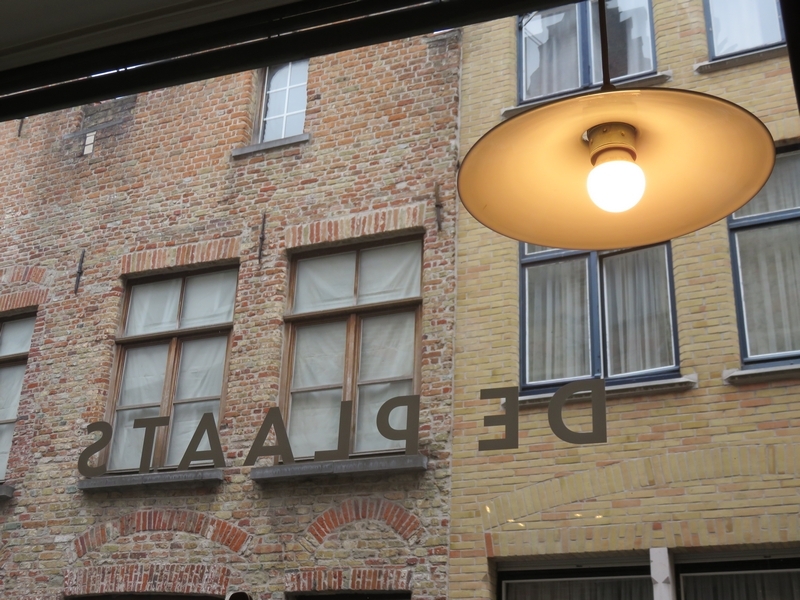 De Plaats appeals more to us as a place for a quick bite on a weekday lunch break, than a fancy dinner. Toilets at De Plaats, Bruges. Clean, nice door posters! Toilets on first floor, via steep stairs though. That place looks really nice. Simple, modern decor. Too bad I can’t eat the food via your photos, lol! 😂 😄 Great post! Right? The food looks so good I just want to eat it all. Hahaha! 😂 You can do it! You just need elastic waist pants (genius invention).